The Boeing 737 makes up 20 per cent of the Russia’s civilian airline fleet. Among the most popular civilian aircraft, the Boeing 737 has been formally suspended by Russia’s aviation committee over technical concerns – but the government has rejected the ban. The Media is viewing the ban as possible revenge on the state by a former owner of the bankrupt Transaero airline, who now heads the aviation committee. The Russian establishment is divided over a ban imposed on Boeing 737 aircraft in the country. The government has dismissed a November 5 decision by the Moscow-based Interstate Aviation Committee (MAK) to suspend the flight certificates of all Boeing 737 models over safety concerns. The MAK suspension applies to all Boeing 737 aircraft, including both the Classic and Next generation modifications. The committee’s press service told RIR that the ban the result of technical problems with the aircraft which crashed at Kazan airport in 2013. Under Russian law, the MAK first issues special certificates to allow the operation of specific aircraft and then the Federal Air Transport Agency (Rosaviatsiya), part of the Russian government, issues the relevant permissions to the airlines. In this case, the government has rejected the MAK ruling, with the Rosaviatsiya press service saying MAK was not authorized to ground aircraft. 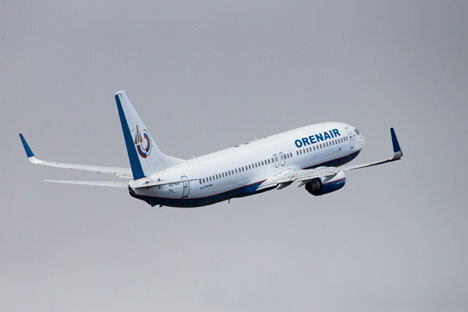 Only six Boeing 737 aircraft are registered in Russia and fall under Russian jurisdiction, while the rest of the aircraft are registered abroad. There are around 200 Boeing 737 aircraft operating in Russia, making up 20 percent of the country’s air fleet. The problem is that MAK is in no way subordinate to the Russian government. The organization deals with aircraft certification and investigation of air crashes and other incidents. The MAK leadership is appointed by heads of 11 countries from the Commonwealth of Independent States, which unites the majority of former Soviet republics. In that association, Russian President Vladimir Putin, like the other CIS heads of states, has only one vote. What is behind the ban? In November 2013, a Boeing 737-500 belonging to Tatarstan Airlines, crashed during landing at Kazan airport, killing all 50 people on board, including the son of the president of Tatarstan, one of Russia’s major regions. The MAK investigation concluded that the incident was caused by a fault with the aircraft’s elevator control system. These findings have been presented to Andrew S. McKee, the U.S. Federal Aviation Administration’s representative in Russia and the CIS.